Every year my husband Colman and I have a weekend break without our children. 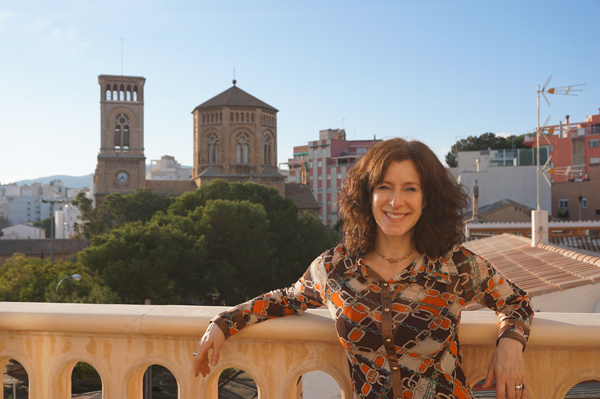 Last year it was a memorable trip to Iceland; this year we flew south to historic Palma de Mallorca in search of some winter sun. 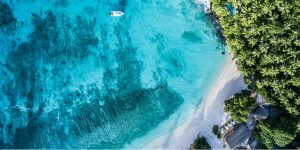 We adore our children, of course, and we love holidays with them; however, we think it’s vital to carve out time to reconnect with each other and step away from the logistics and transactions which seem to govern every waking moment. 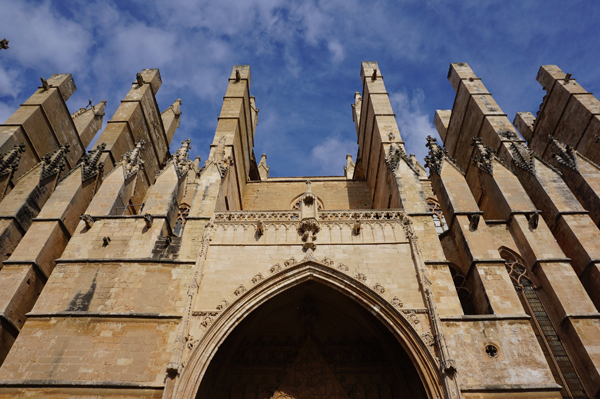 Colman had never been to Mallorca, and flights were super cheap in January, so we set off to discover the capital of the beautiful Balearics on a much-needed weekend break (thanks Mum and Dad for having the kids!). 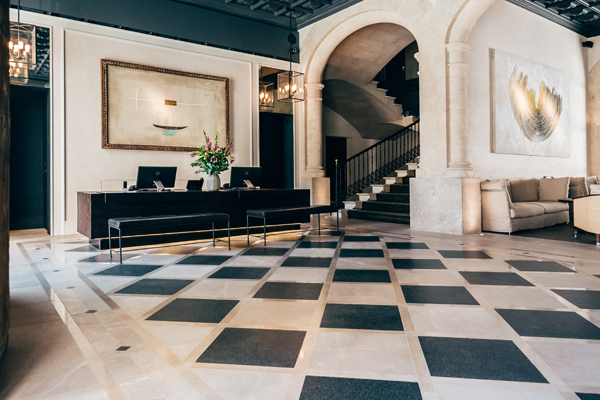 Downtown Palma is only 15 minutes from the airport by taxi, so very soon we were marvelling at the exquisitely restored lobby and riad-style inner courtyard of Sant Francesc Hotel Singular, in the heart of the historic centre. 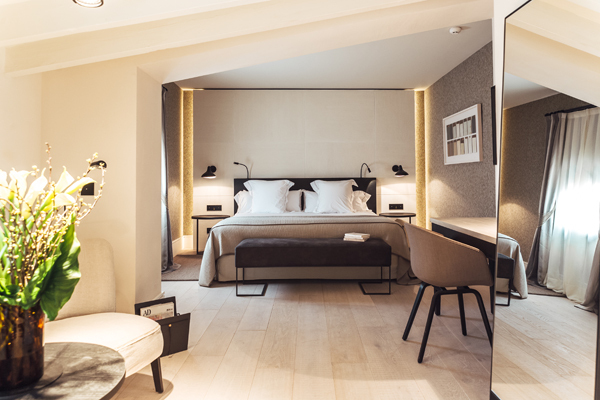 Opened last summer after a meticulous 2-year restoration of a 19th-century mansion, this elegant boutique hotel has 2 big draws: an awesome roof terrace with a pool, a bar and 360-degree views across the rooftops to the cathedral and sea beyond; and the Quadrat restaurant in the former stables below. We had pre-dinner cocktails in the ground-floor bar with its display of backlit bottles, before indulging in fine wine and food in the restaurant, whose charming sommelier and waiters were hugely knowledgeable about Mallorcan fare. 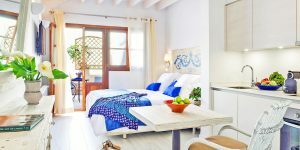 There’s a very carefully designed serenity at Sant Francesc: rooms come in soothing shades of stone, the windows are double-glazed, and the supremely comfortable beds are dressed in Egyptian cotton. 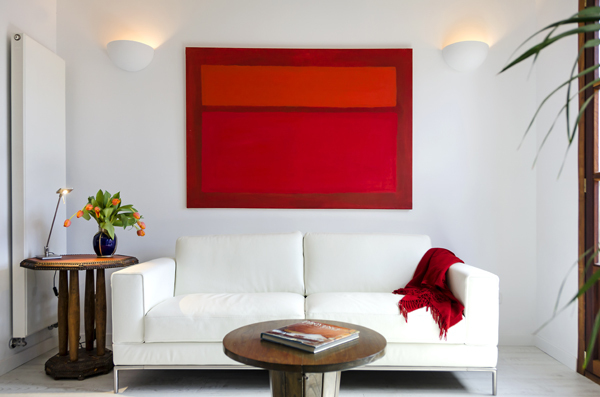 We can certainly bear testament to its restorative powers as we slept in until 9am! We needed that. 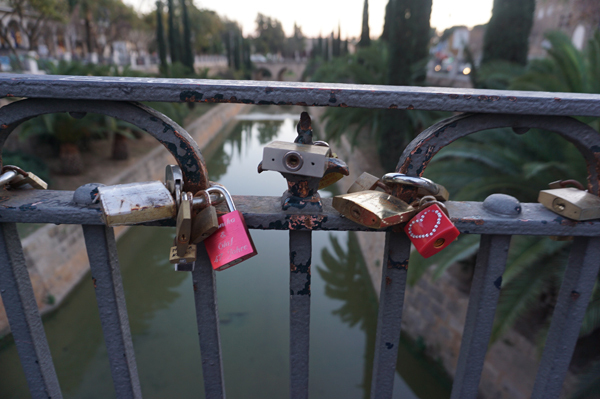 After we stuffed ourselves at the extensive breakfast buffet (I also enjoyed a Spanish omelette cooked to order), Saturday was all about sight-seeing. 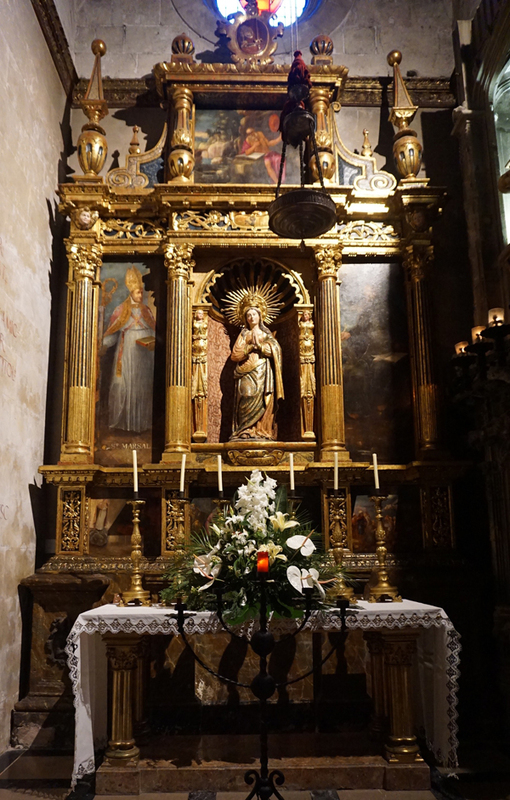 The first stop was just outside the front door: the gilt-laden Sant Francesc church, where local hero Ramon Llull is buried, and its tranquil cloisters. 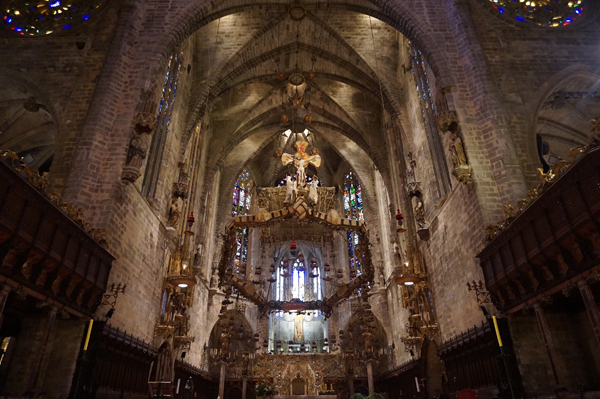 Next we made our way to the Gothic-fantasy La Seu Cathedral, which is simply enormous; it took nearly 400 years to complete and was sited on top of an Arab mosque. Gaudí himself had a hand in some early 20th-century restoration, and his canopy over the altar is suitably fantastical. 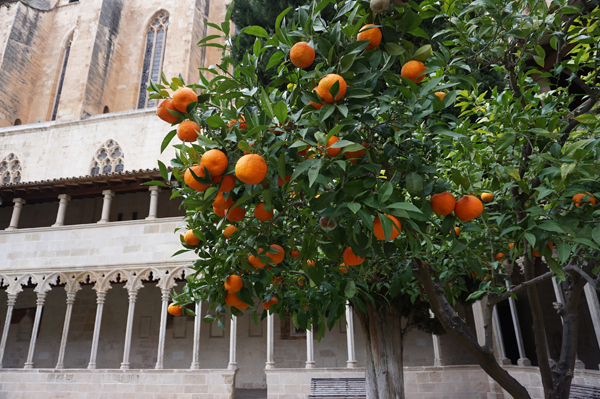 Palma’s rich history – Roman camp, Byzantine city, and then 300 years of Arab rule before the Christian reconquest in 1229 – is on display in the Royal Palace of Almudaina next to the cathedral, which is an Arabian Fort complete with an original hammam. 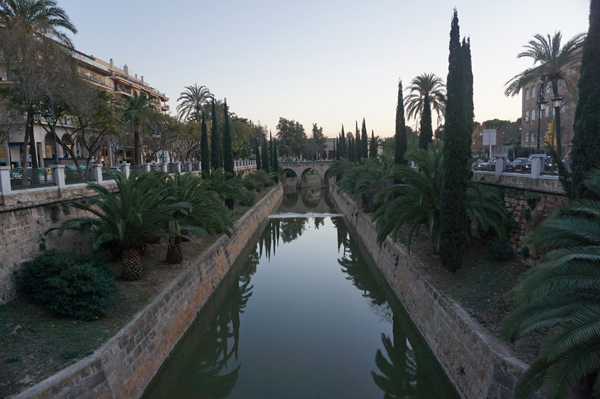 It was reinvented as the royal residence of the Aragonese kings and is now used for ceremonies. 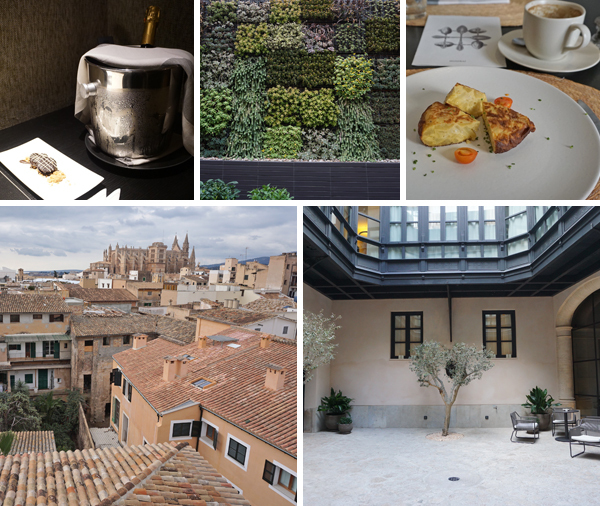 Our next pied-à-terre was the cute apart-hotel StayCatalina in Santa Catalina, known as the ‘Soho’ of Palma and adjacent to the medieval centre. 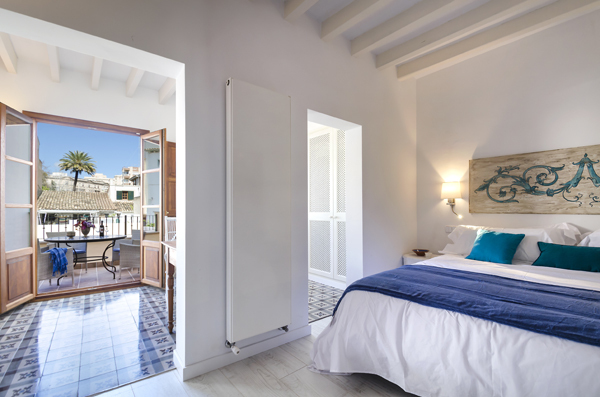 Three of its 5 apartments occupy a whole floor of this redesigned townhouse; we were in the Penthouse apartment, which has terraces front and back for maximum light – here we read books in the sunshine, looking out over the local church and Santa Catalina’s derelict windmills. The kitchenette had everything we could possibly want for whipping up meals, and the best (and oldest) covered market in Palma is only 50 metres away. 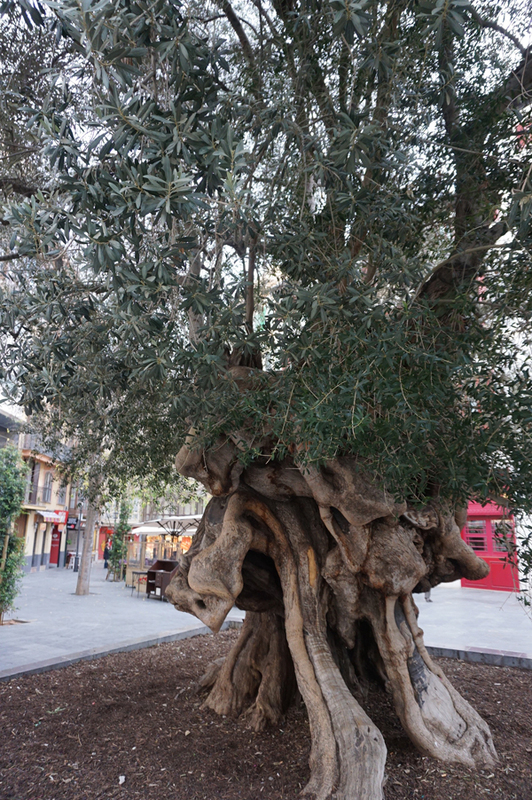 There’s also a wealth of restaurants, funky bars and boutiques on the doorstep. Retail therapy was the next order of the day. We made a beeline for the Camper shoe shop, and we found a puzzle shop where we purchased a wooden Jenga set for the kids. 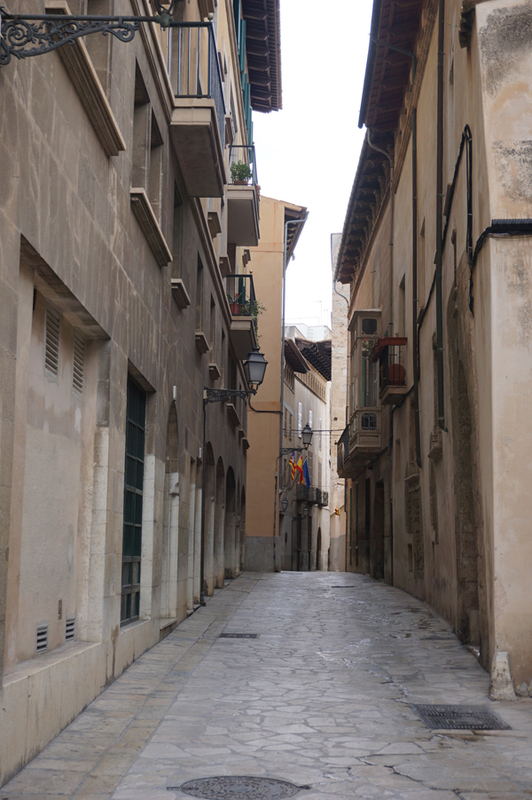 The medieval limestone-clad streets are so handsome, their facades lit up at night, and it was a lovely balmy evening to wander around, hand-in-hand. Dinner was authentic Basque tapas in a neighbourhood restaurant, Patxi, which Felix at StayCatalina had recommended. We propped up the bar, drank sherry then wine, ordered dish after dish, and put the world to rights. 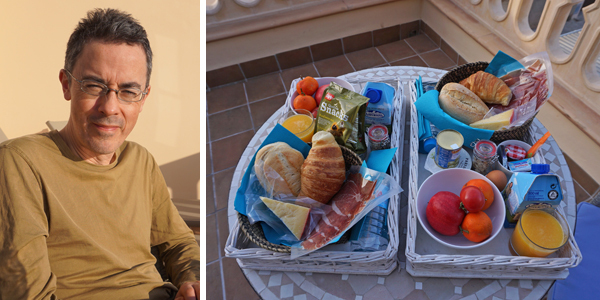 Sunday was also sunny so we enjoyed (huge) breakfast baskets on our balcony, washed down with coffee from our Nespresso machine. On the way back to the airport, we dropped by the fabulously sited Es Baluard Museum of Contemporary Art, created in a 16th-century fortress with views over the harbour. Here we posed for selfies, grinning like Cheshire cats, before heading home to be reunited with our lovely children. 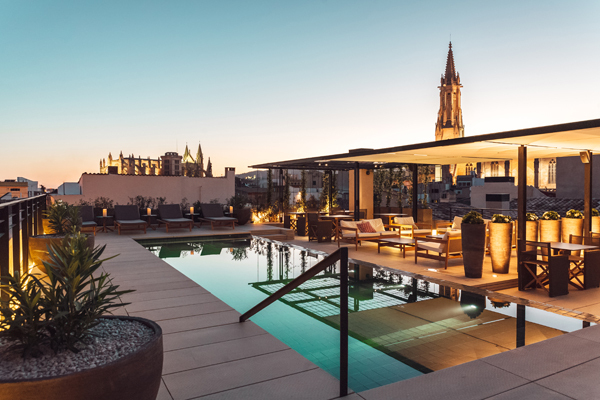 Browse our hand-picked collection of boutique hotels in Palma.